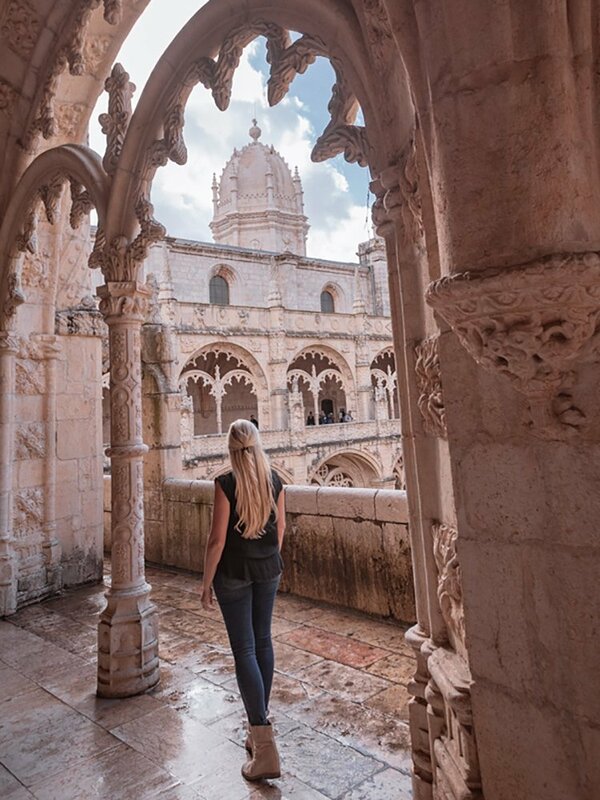 If you and your girls are looking for a weekend in a city full of charm, history, beauty, and delicious food (plus a few hills), Lisbon is your city. Portugal’s capital city is full of Instagrammable places to see and most of them can be seen in 48 hours. 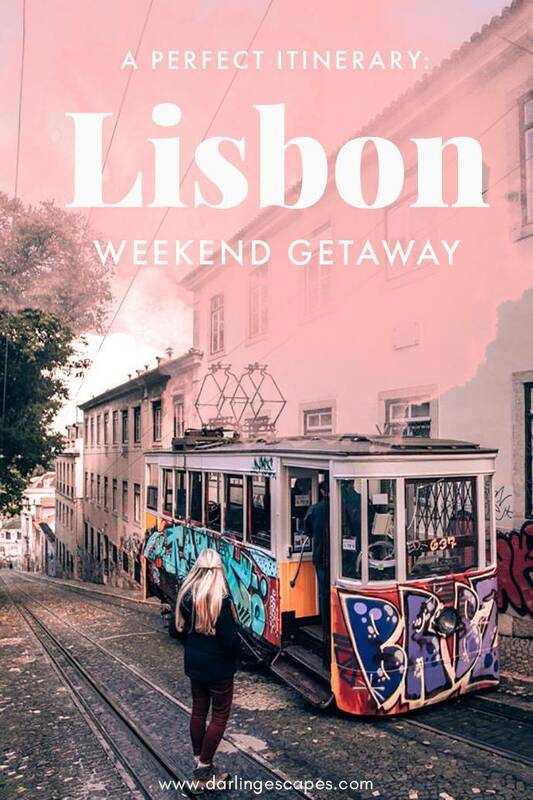 Time to help you sift through endless possibilities with this Lisbon itinerary for a perfect girls-getaway weekend. On your first night in town, if you arrive before sunset, head over to Belem Tower. For €6, you can go inside if you arrive in time. If you want to see in the inside, the best time to go is about 30 – 40 minutes before it closes. They will start shutting it down a few minutes before closing starting at the top levels first, so head straight to the top. Most of the floors inside don’t have much to see, but several have beautiful views over the water or the city. The part that takes time is the stairway which is one direction at a time. You may have to wait a few minutes to go up or down the stairs. If you go near closing, you can also enjoy the sunset from inside the tower in winter. When they close down the tower, you can also enjoy the view from outside the tower as the sun sets behind the tower. In the summer, the tower will close before sunset, but it still makes for a perfect sunset view if you stick around. Most places in Lisbon are open from 10 a.m. until around 5 p.m., so make sure to plan your stops during this time frame accordingly. This includes Jeronimo’s Monastery, Belem Tower, Monument to the Discoveries, and Carmo Convent. 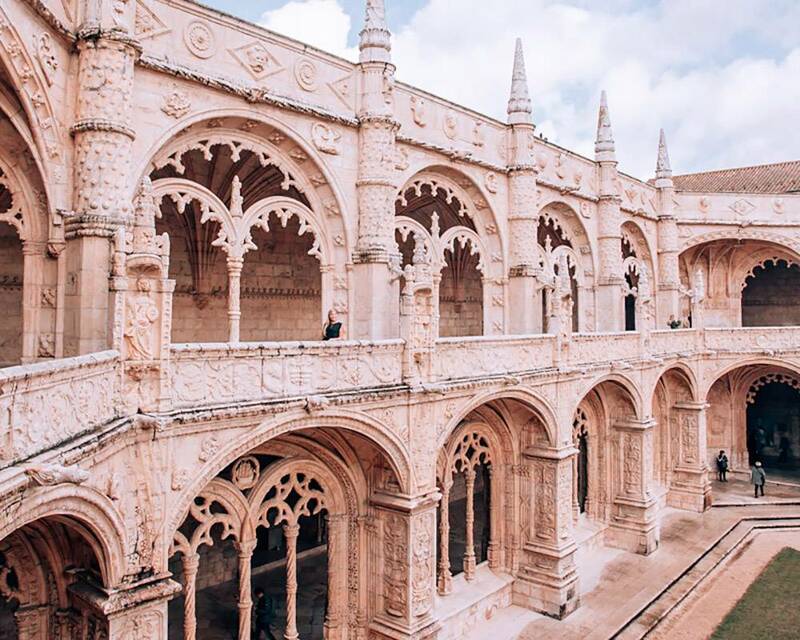 For Saturday, I suggest being at Jeronimo’s Monastery right when it opens, but I would suggest getting over to the Belem area early to check out some of the other sites. 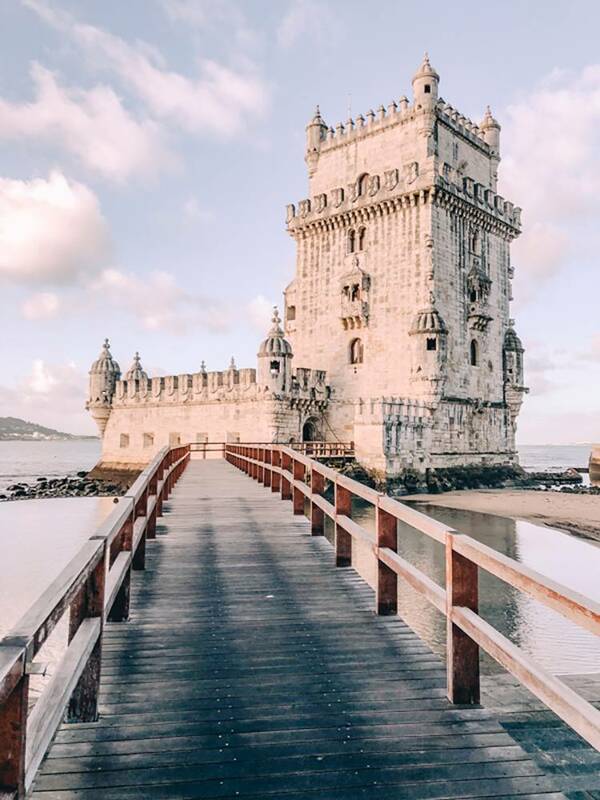 You will probably want to Uber here if you don’t have a rental car since public transportation can take significantly longer to get here and Belem Tower. We rented a car, and parking in this area was free and easy. If you want pictures of Belem Tower with no one around, go here before it opens at 10 a.m. Plan to be there at least 30 minutes early, especially in the summer, as sometimes a line forms before it opens. There is a gate across the bridge, but that means you can get pictures of the tower and bridge with no one in the way. Along with being a good sunset location, it also makes for beautiful sunrises. If you didn’t visit Belem Tower the night before and want to go inside, I would suggest going after the monastery though because the monastery is the better of the two to me. If you don’t have a rental car, it makes more sense to visit these two places together since they are only a 15 minute walk away from each other. They are both outside of Lisbon by about 30 minutes by car, so you can save time and money by combining the two. While you are in the area, you can also go see the Monument to the Discoveries. It is only about a 10 – 15 minute walk along the river from Belem Tower. We chose not to go inside, but we did enjoy the view of the 25 de Abril bridge as well as the exterior of the monument. The monument celebrates the discoverers who were from Portugal, and the bridge has a similar look to the Golden Gate in San Francisco. You can see these before or after the monastery and tower depending on your timing. Jeronimo’s Monastery is my favorite place in Lisbon. It was built about a thousand years ago, and the monastery architecture is beautiful. You can visit the church for free, and that is where most tour groups go. It is open certain Sundays for free to locals, so it tends to get more crowded then. The cost to go in is €10, but you can also buy a combination ticket with Belem Tower for €12. You purchase the tickets in the museum next door. Go to Jeronimo’s right when it opens if you want to beat the crowds. Make sure to visit the upper floor as well and enjoy the view of the church from the balcony above the crowds. This place is a photographer’s dream, so plan to spend an hour or so there if you tend to take lots of photos. Keep in mind that tripods are not allowed inside. For the afternoon, head over to the gorgeous Alfama district. There really isn’t a wrong way to go as you walk around and get lost among the tiled buildings. Make sure you wear shoes that are good for walking as you will go up and down some hills in this area. You can find lots of restaurants in this area if you want to stay for dinner before finding your way back. If you are wanting to visit Castelo de Sao Jorge, you can also head up there for sunset and another beautiful city view before calling it a night. The cost to go in is €8.50 for adults, and it is near this area. We ran out of time to see this, but the views from the castle look worth the visit. 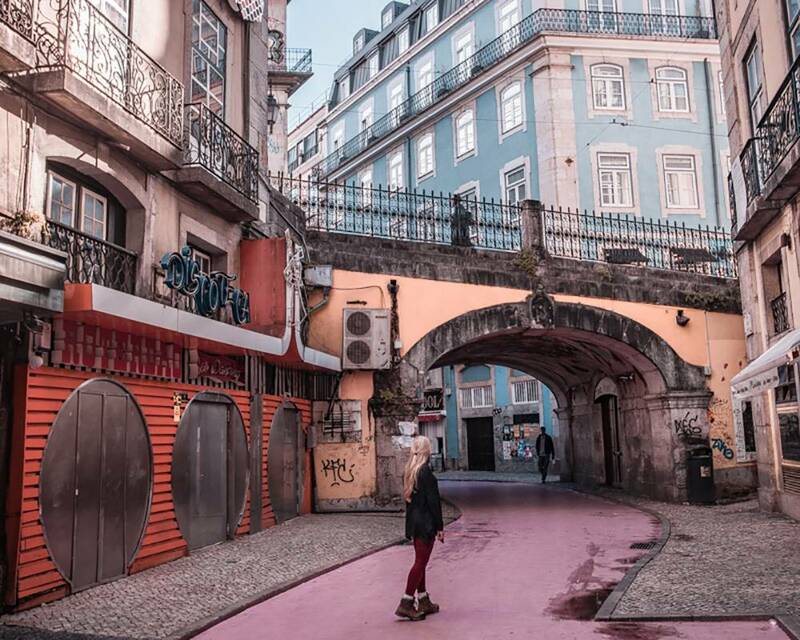 We are not much for nightlife, but Pink Street is supposed to be where the party is at in Lisbon at night. You can also find one of the many viewpoints to enjoy the sunset views in Lisbon as there are many of them throughout the city or head back to your hotel for the evening. We stayed in a hotel about a mile north of most of the main attractions because we needed a hotel that offered parking for our rental car. However, overnight parking on the main and side streets in that area was free on the weekends, so we didn’t have to pay for parking at the hotel on weekend nights. If you and your girlfriends are up for an early start, head to one of the many viewpoints in the city for sunrise. My favorite was Miradouro de Santa Luzia because off the beautiful columns and garden. In the summer it is even more magical with the flowers blooming. You can also check out Portas do Sol for another viewpoint right next door. After enjoying the sunrise, head to Arco da Rua Augusta. This beautiful archway is the gateway to Praca do Comercio, the largest square in Lisbon. You can walk here from the viewpoints in about 15 minutes. As an added bonus, the walk is mostly downhill. On weekday mornings, this area is full of locals rushing to work, but a weekend morning makes for a quiet time with only a few others around. Make sure to take in not only the beautiful arch but also the large plaza beyond it. It is right on the water and surrounded by beautiful buildings. 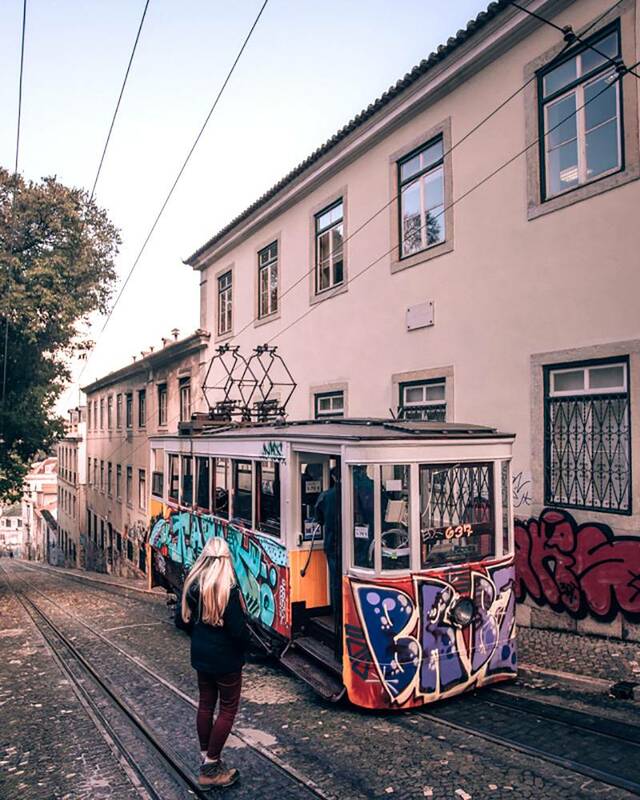 Elevador da Bica is nearby if you want to see another famous funicular. If you have a Lisboa card, riding the streetcars and funiculars is free. This one will cost you around €5 round trip without the card. You can also just walk alongside the tracks and get pictures with this famous elevador. If you want to see Pink Street during the day, do not go first thing in the morning. It is near the Elevador da Bica, so it makes sense to visit around this time. It’s not crowded in the late morning or early afternoon, so you do not have to worry about crowds being here. First thing in the morning, the street smells terrible and is covered in trash from the partying the night before. Wait until late morning after the street has been cleaned up for a more pleasant experience. This makes the perfect entry into Bairro Alto and Carmo Convent. 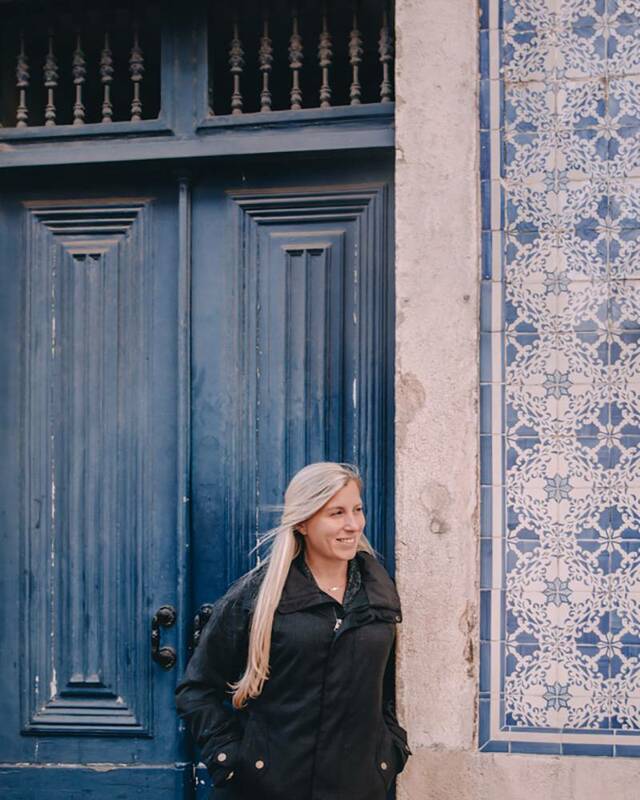 Bairro Alto is another beautiful area in Lisbon to walk around and enjoy the tiled buildings. You once again can’t go wrong exploring these streets. Carmo Convent is also in this area. These ruins reminded me of something out of Rome or Greece. When the roof collapsed years ago in an earthquake, it was never rebuilt. It seemed to be pretty empty in the early afternoon in winter, but going right near open might be even better if you want it to yourself. Because of the open roof, you may have some long shadows in the early morning and late afternoon. Depending on how tired you are at the end of this, you can ride the Ascensor da Gloria down to the Praca dos Restauradores. The path along the tracks here are covered in street art. We chose to walk down to enjoy the street art along the way. Before you head down, take in the view from the Sao Pedro de Alecantara Garden. From the top of the ascensor, go up the stairs and to the right. You can see it from the stairs there. From here you can head to the Praca dos Restauradores area. From here you have plenty of options for food including Casa do Alentejo. 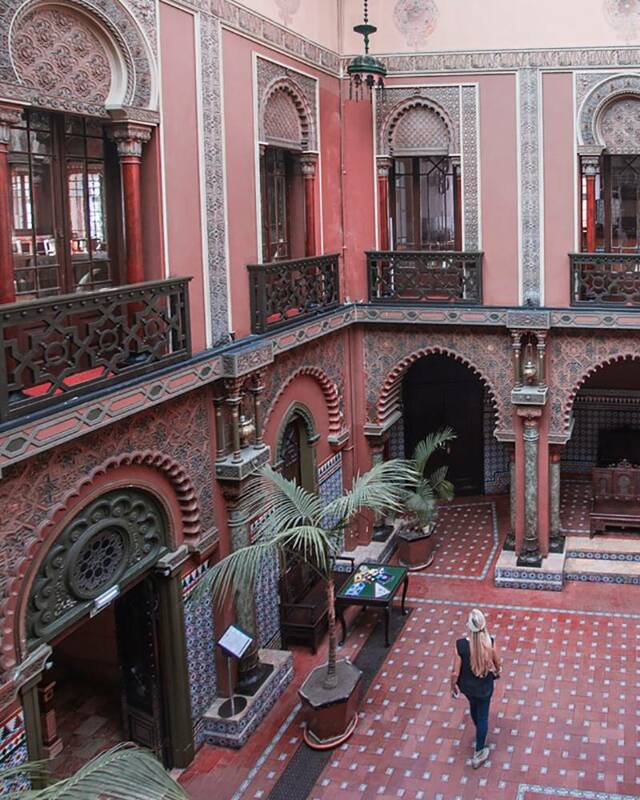 This beautiful interior looks like it is straight out of Morocco. Even if you choose to eat at another restaurant nearby, you can still stop by to check out the interior for free. At some point during your stay, make sure you try the famous pasteis de nata. These custard tarts taste amazing and are the perfect way to end a meal. While you are in Belem, don’t miss out on the pasteis de Belem. They are similar but you can only find them in Belem. We rented a car since we took a road trip through Portugal. Renting a car for five days cost us €58. In Lisbon, parking is free on many of the streets on the weekends, but otherwise parking is somewhat confusing to figure out. Luckily, locals are helpful and kind, pointing you in the right direction and letting you know where you can and cannot park. There is public transportation, and you may want to consider the Lisboa card if you plan to use it. We chose instead to use Uber since it was fairly cheap and easy to use. Most of the time we walked, but we used Uber to get to the right starting area at least. There are plenty of hotels throughout Lisbon, but we stayed at Czar Lisbon Hotel. It is near many of the main attractions and included breakfast. They also have a parking garage which was important with having the rental car. 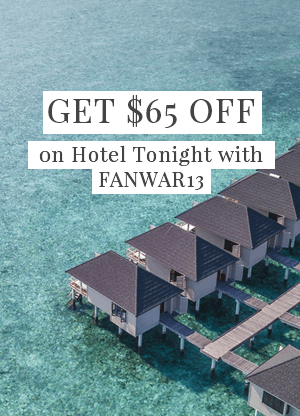 Regardless of the hotel you pick, grab HotelTonight’s promo code to save up to $65 (20%) on your first stay. Lisbon is a beautiful city to spend a girls weekend. You can fit a lot in to just a couple of days and burn off all of the calories you will eat by walking most of the city. 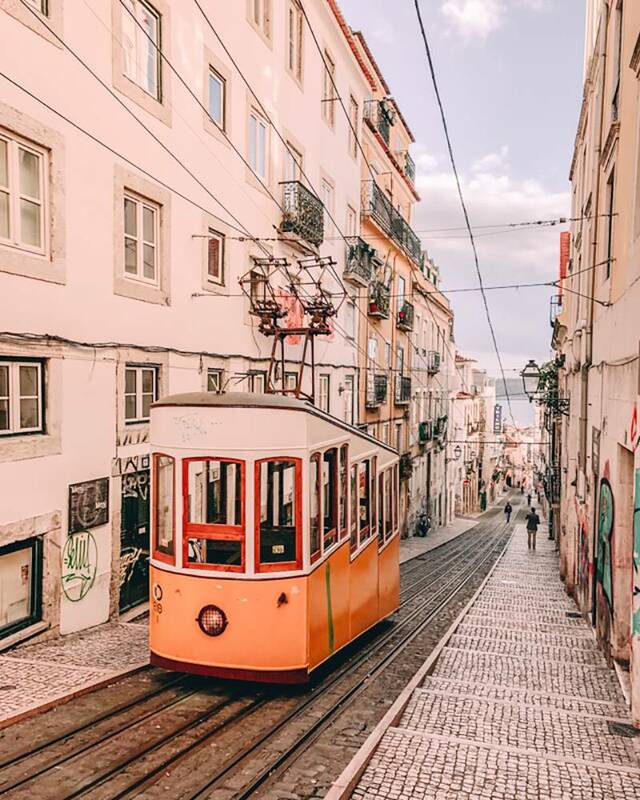 While more time in a city is always a good thing, you can see most of what Lisbon has to offer in 48 hours if you only have a weekend to spend there, with this Lisbon itinerary. Christine Wheeler is a teacher who travels as much as possible on her school breaks. She and her husband have visited 45 countries on 6 continents and still have a bucketlist a mile long. You can find out of Christine’s travel tips on her blog Liveloveruntravel.com or her Instagram. Looking for weekend getaways ideas? 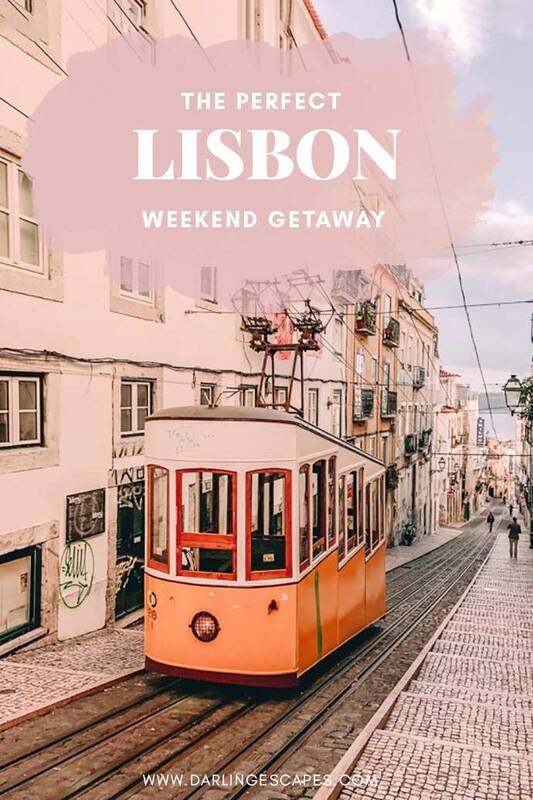 Lisbon, Portugal needs to be on your bucket list and we've got the perfect weekend itinerary for you and your gals! 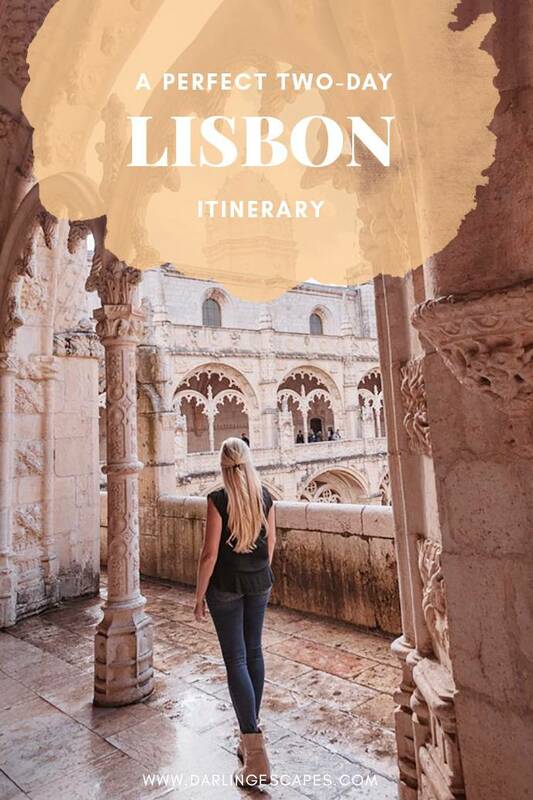 Looking for a perfect two day itinerary to Lisbon, Portugal? We've got the most amazing full on itinerary for the perfect girls' getaway to one of the most amazing destinations in Europe!